Rise from the dust to answer the call of duty. There are a few games I’ve played that have surpassed my expectations. This could be because of the game having a well-written story, gameplay that was more enjoyable than it looked, or even the genre branching out to include elements from other genres that compliment the game. 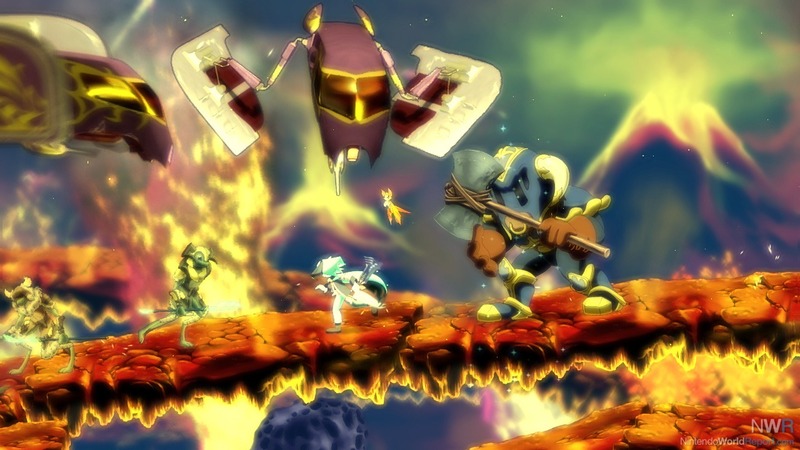 Dust: An Elysian Tail was one such game that not only blew away but surpassed any expectation I had ten times over. The story opens up in a dark forest where the main character, Dust, wakes up to the calls of a wise sword known as the Blade of Ahrah. 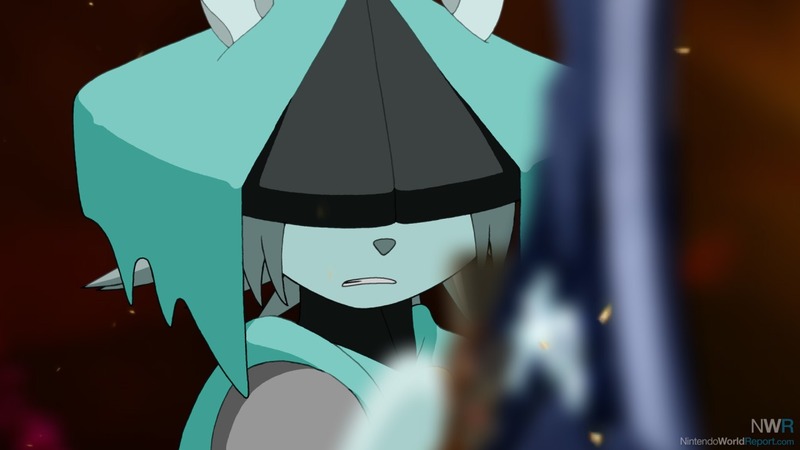 Chasing after the blade is the second main character, Fidget. As Ahrah and Fidget speak, it becomes apparent to Dust that he has no idea who he is nor how he ended up in the forest. He decides to follow Ahrah’s guidance to see if he can unlock the mystery of himself, with Fidget tagging along. The trio set out on a quest to find Dust’s true identity; however, there are many forces at play that make our hero’s journey a long and dangerous one. The world is divided into separate areas that the player unlocks either through story progression or by taking on side quests. 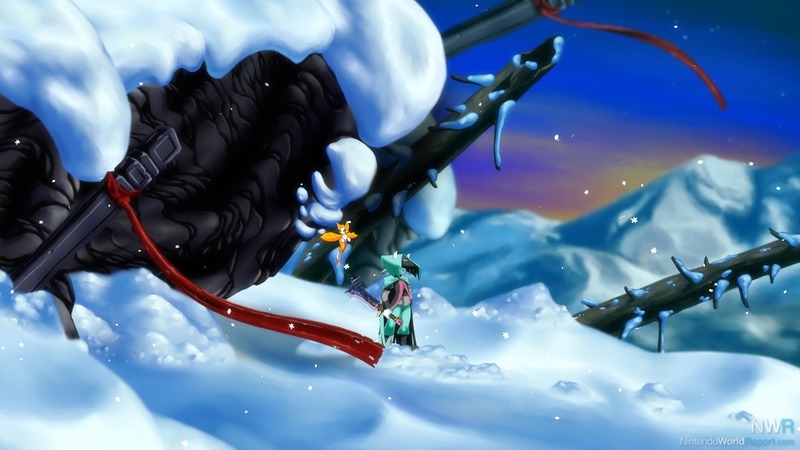 In the metroidvania style, there are various platforming elements to navigate and hordes of enemies to be vanquished in each of the different areas. 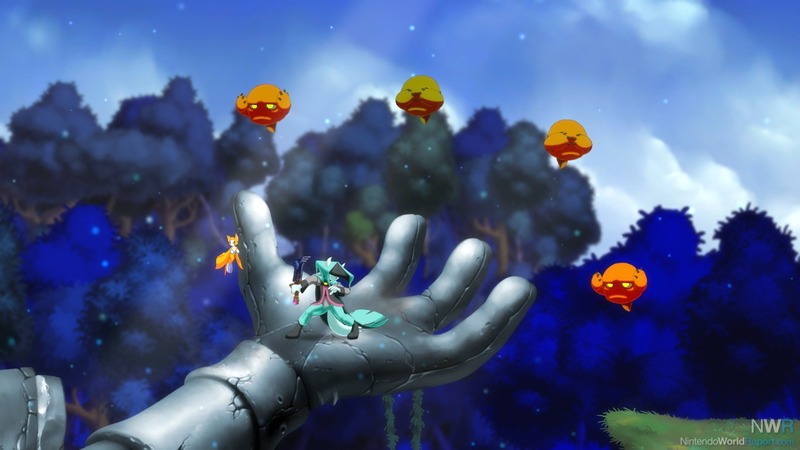 These areas also have hidden treasure chests and cages in them that contain loot such as gold, healing items, monsters, and even some familiar characters. There are various abilities and key items that are obtained as you progress through the story. The majority of these abilities and items are meant to assist you with progressing to previously inaccessible areas, while a few others assist with combat. I personally appreciate this aspect of the game as it keeps the combat basic enough for the player to practice a style that best suits them without having to manage multiple weapon types and fighting styles to deal with certain enemies. The overall combat is simple, yet it is complex enough to allow the player to chain various moves together to form a combo. I must praise the development team for the splendid voice acting and beautiful soundtrack. The voice work is spot on with each and every single line being read in a tone and sound that perfectly matches the character it is coming from. You can also tell that the actors were very passionate about the roles they were playing as you can feel the characters’ emotions and state of mind just from the style and tone of their voice. The music is breathtaking and allows each of the different landscapes you explore to come to life. It captures the emotions of each situation and environment and amplifies them, which makes each of the battles feel more intense and the environments more mysterious and fully realized. The art style is one that possesses quite a bit of cartoon charm while still maintaining a sense of realism. It makes each of the different areas pop out. Each character has a unique design that fits the world’s fantasy setting while also keeping each one distinctly original and not just a redesign of a previous character. While exploring the game’s wonderful world, I honestly couldn’t find anything I personally disliked or any major issues. The only problem that would occur is an occasional moment of choppy sound effects in which the sounds of swinging your blade or striking a monster would become delayed and not match the action on screen. However, this issue never affected the music of the area, only the sound effects. Regardless, the issue would only last for about 10 seconds before ultimately correcting itself and playing the sounds normally. If you’re a fan of metroidvania-style games, games with a good story, or even just something to pass the time, I would absolutely recommend adding this game to your Switch library immediately. It’s perfect for beginners and experienced players alike and will leave you with hours of challenge and entertainment.